As a homeowner, you probably spend time maintaining your home and checking it to see if there is some sort of job that needs to be done. One of the most important chores of a homeowner is to make sure that their house is safe for their family to live in and this includes making sure that the home is mold free. 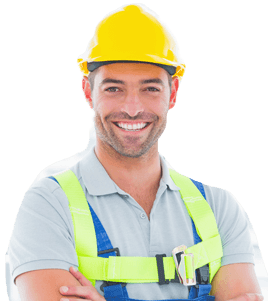 Most homeowners do the little jobs around the house themselves and when it comes to the bigger, more complicated jobs they call in the professionals to make sure that the job gets done quickly and thoroughly. Mold is a fungus that grows by digesting organic matter, such as dirt or dust, it is spread by releasing spores in order to reproduce. In nature, mold’s job is to decompose plant debris. Because it digests materials such as wood, the spread of mold throughout a building can cause damage. Mold grows on almost any surface, wood and wallpaper, insulation and carpet. 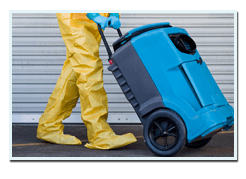 What Causes Mold to spread? Mold needs three things in order to grow: spores, an organic food source, such as dust, and moisture. This means that it is important to keep our houses clean and dry to prevent mold from growing. Moisture can come from any source – an unventilated shower room, humidity in the house, a flood and even drips from leaks can cause mold. Mold thrives under humid conditions, and water leaks often contribute to the growth and spread of mold. 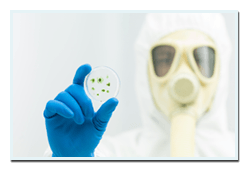 Mold can cause damage to your home and your furniture if it spreads greatly enough, but homeowners are more concerned about the hazardous effect mold can have on people’s health. It can cause a variety of different problems, including respiratory problems, such as asthma, allergies, eye irritation, skin rash, nasal congestion, difficulty breathing and more. There are also a small number of molds that produce mycotoxins. People who are exposed to a high level of mycotoxins may suffer from nausea, eye irritation, fatigue, lung irritation and headaches. Does my leak mean I have mold? As one of the chief causes of the mold is moisture it is very probable that your leak will cause mold. It doesn’t have to be a big leak or a flood in the house to cause mold, even a small amount of water can cause mold to grow and spread in as little as 24 to 48 hours, depending on the conditions. As soon as you notice the leak have the water turned off and call in a mold remediation expert to check the damage. 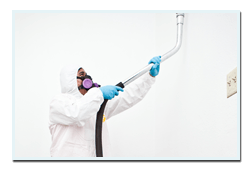 If you have noticed a leak in your house and you’d like EZ Mold Removal in San Francisco to assist you or if you would like more information about us and what we do, please don’t hesitate to give us a call. We are always here to answer any question.